The Haggadah, which is pronounced ha-gah-da, is a small book that is used at the Passover table each year. 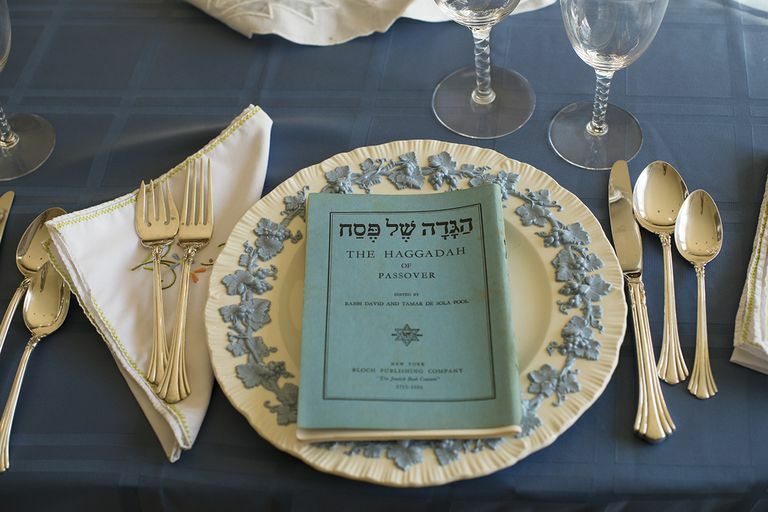 The Haggadah outlines the order of the Passover seder and is used by the seder leader and participants to conduct the rituals of the Passover seder meal. The Haggadah also recounts the story of the Exodus, when the Israelites were freed from slavery in Egypt. It contains poetry and songs that have become a part of Jewish tradition. Some Haggadot (plural of Haggadah) contain additional footnoted rabbinical commentary which prompts discussion on the ​seder in some families. According to Alfred Kolatch, author of “The Jewish Book of Why,” the Haggadah was introduced by members of the Great Assembly 2,500 years ago in order to meet the requirements of Exodus 13:8, which states: “And you shall instruct your son on that day….” The Great Assembly was a group of the most learned rabbis of the time. The Haggadah fulfills the requirements of Exodus 13:8 because every time it read it reminds us of the Exodus story and teaches the younger generations about Passover. Haggadah literally means "telling" in Hebrew. In other words, the "telling" of the Passover story. There are many different versions of the Haggadah. Several Haggadot have been published in nearly every country where large communities of Jews have lived. For this reason, Haggadot often reflects the customs of the communities from which they originated, the end result being some variation between one Haggadah and another. Usually, at a Passover seder, each person at the table has their own copy of the Haggadah so that they can easily follow the seder leader. For young children, some publishers have made colorful renditions of the Haggadah, including coloring book versions which kids can color before the seder to enjoy their artwork during the service.